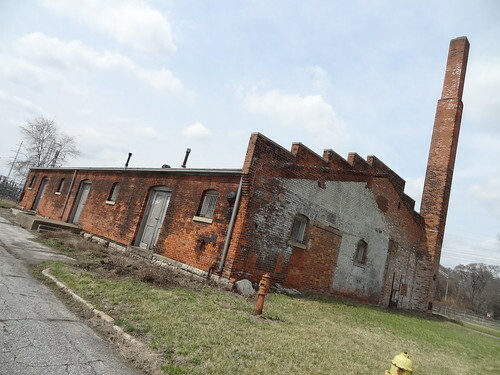 DETROIT: Something Old Something New…. 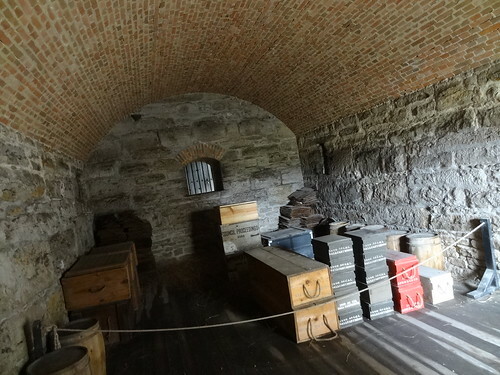 We start our fourth year by going back to where we began (more or less) with a visit to Historic Fort Wayne. 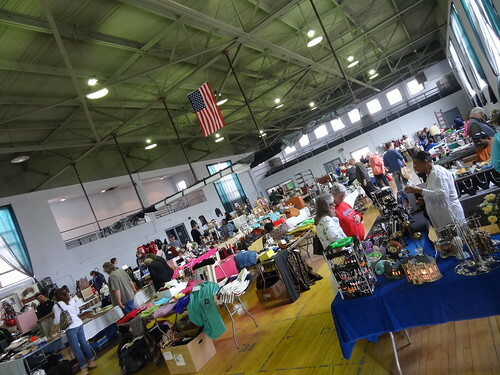 Twice a year they host a Flea Market in the Visitors Center gym, the grounds are also open to the public and tours are available, it’s a fascinating way to spend the day. 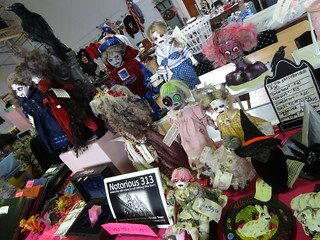 You never know what you might find at a flea market, that’s part of the excitement of going. The gym is transformed into a bargain hunters paradise, rows of folding tables create aisle ways the length of the room, items are stacked on the floor and tabletops, an American flag is draped from the rafters. 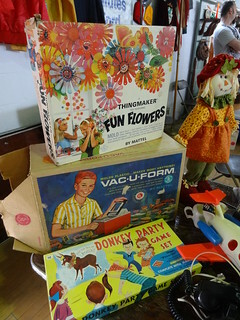 Crates of vintage record albums, children’s games, dishes and glassware are among the many items for sale. Antique trunks and suitcases have been re-purposed into tables, vintage insulated ice cream carriers are out of the ordinary. 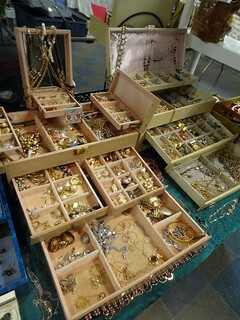 Through an open doorway we find ourselves in another room, clothing, doilies and jewelry are plentiful, I am taken with jewelry boxes that open from a simple rectangle into an elaborate display with tops that go up, drawers that open and compartments that unfold. We take one more walk through to be sure we haven’t missed anything then make our way outdoors. The original 96 acres where the star fort and many buildings remain is steeped in history going back to about 1000 AD when 19 Native American burial mounds were present in the area. One burial mound remains, when it was excavated in the early 20th century, human remains dating back over 900 years were discovered, today the area is fenced off but you can still have a look at it. In the War of 1812 Detroit had been captured by the British Army and held for over a year–the only major American city to have this distinction. 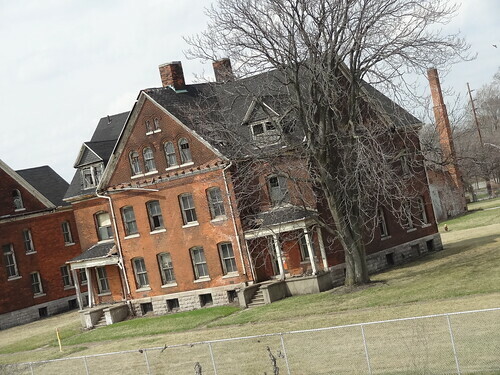 The US government realized Detroit had no counterpart to British Fort Malden down river at Amherstburg Ontario to resist a British attack on American soil, the Army chose this site, the narrowest point of the Detroit River to build Fort Wayne. Construction began in 1842 and was completed in 1848, it was named in honor of Gen. “Mad Anthony Wayne”, a hero of the American Revolution. 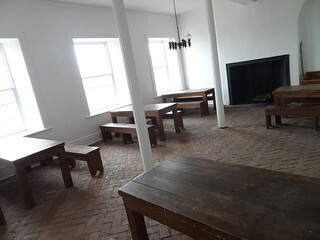 In 1861, after the attack on Fort Sumter, President Abraham Lincoln asked for 75,000 troops from the northern Union states, two weeks later the Michigan 1st Volunteer Infantry Regiment was mustered into federal service at Fort Wayne. 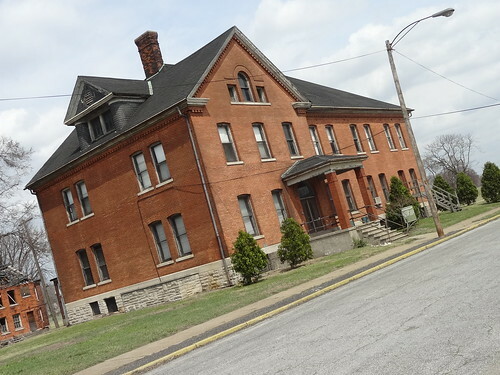 We begin to walk the grounds, starting with the section closest to Jefferson, we pass the Post Theatre built in 1939, a guard-house and a giant bell. 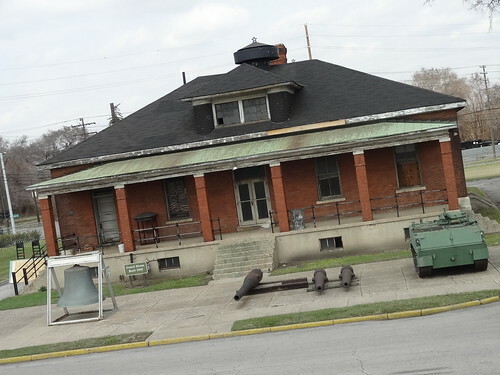 On the left is the Tuskegee Airmen Museum housed in a former residence, the door is locked so we move on. A row of non-commissioned officers houses still stands, single residences and duplexes built from 1904 to 1939, houses are on a slight rise from the sidewalk, it must have been lovely. Further on, huge storage buildings seem to have been maintained and are still in use, army green tanks are parked off to one side. 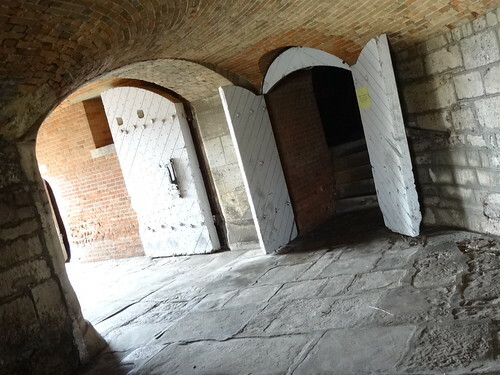 The door to the guard-house is open, the floor is wood, a stove was used for heat, jail cells are tiny, cots for the sick fill a small space. 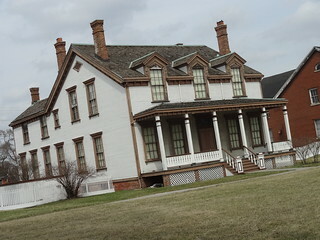 A row of Victorian houses line the next street over, a the Post Commanders residence has been restored to its original wood exterior. The trees are still bare, the grass just beginning to turn green, the abandonment is unnerving; random panes of glass are missing, I imagine the inside to be laden with spider webs, roofs have deteriorated to a weave like pattern of shingles and rafters, I feel as if we have stumbled into a ghost town. 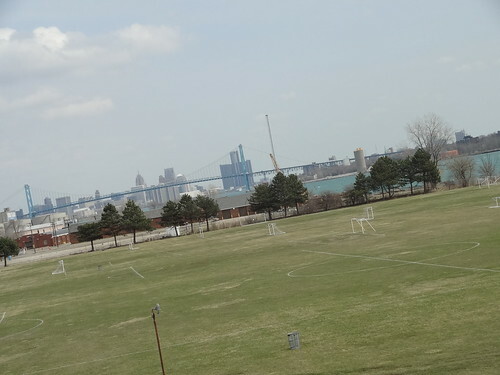 Climbing a large hill we have a panoramic view of the grounds and the Detroit River, the riverfront parade ground is now used for soccer games, nets are in place the grass is well maintained. 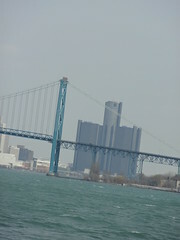 Making our way to the river we have a spectacular view of downtown and the Ambassador Bridge, the river sparkles in the spring sunlight, old concrete is piled along the shoreline, Canada is just a stone’s throw away. Retracing our steps we circle an old storage building on the other side of the hill, it seems it is still in use as a storage facility, everything around her looks really, really old. 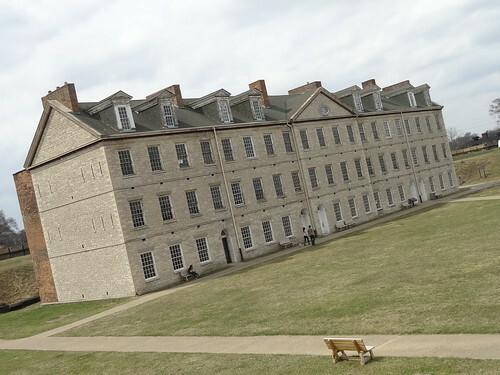 The barracks were constructed between 1842-49 and are said to be one of the best examples of Federal-style architecture outside the seaboard states. Exterior walls are rough-hewn blocks of limestone that came from Kelly’s Island in Ohio. 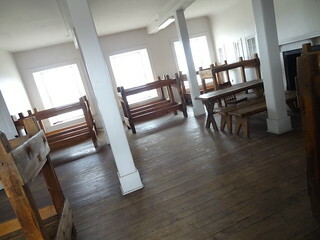 The interior is set up with tables and chairs today for some type of meeting, upstairs we find the sleeping area complete with bunks, comfortable is NOT a word I would use to describe the sleeping arrangements. Just outside to the right is the Powder Magazine building, it has an arched ceiling and displays showing us what it looked like back in the day. 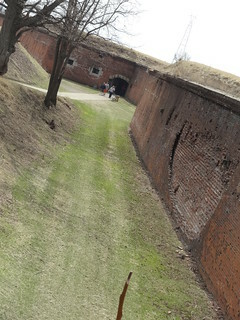 A dry moat surrounds the star fort itself, originally constructed of earth and wood, the fortifications were rebuilt in masonry during the Civil War. 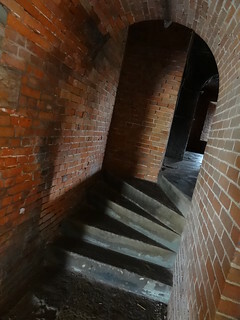 We enter a long brick hall through an open doorway, this leads us to the fort itself, we walk up a couple of stairs into darkness, it feels really damp, water is puddled on the concrete floor. Light sneaks through narrow slits intended for attack on the enemy, the fort has never mounted cannons. 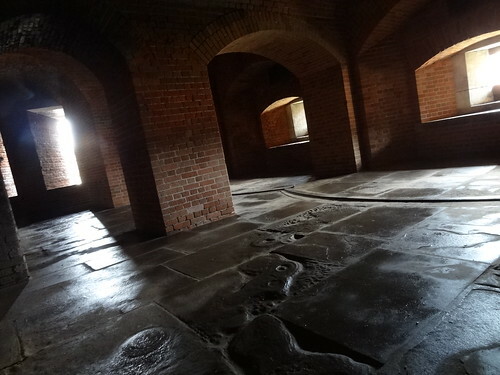 We feel our way around, larger windows allow us a better view of which way to walk, we travel down another walkway and enter another area of the fort, once again we traverse the few steps into the building. 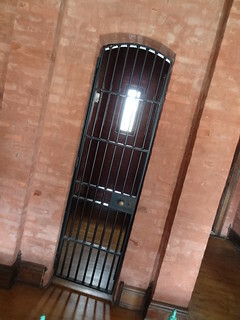 Wrought iron hardware hangs on unbelievably thick wood doors, they did everything they could to keep the bad guys out. It’s hard to believe this building still exists, thankfully it was dedicated as a military museum in 1950, otherwise it may not be here. Of the original 96 acres, 83 still belong to Fort Wayne, the rest belongs to the Army Core of Engineers as a boatyard. 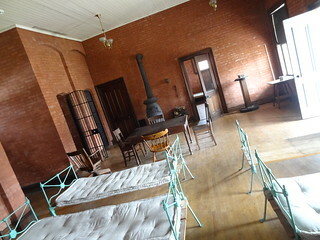 The fort was added to the National Register of Historical Places in 1971, it served as an Army base for 125 years. 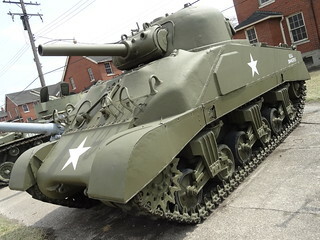 Most people probably do not think of Detroit as a military city, that just goes to show you what an amazing place it has always been. 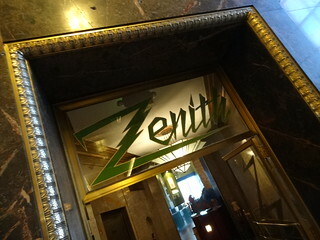 I check my watch and am glad to see we still have time to catch brunch at Detroit’s newest restaurant, Zenith. 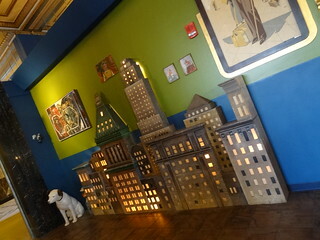 Robert and Melissa Jasper moved to Detroit from the East Coast to open their unique, quirky restaurant on the main floor of the Fisher Building. We walk through the Fisher to the restaurant entrance, one foot in the door we know we are going to love this place! 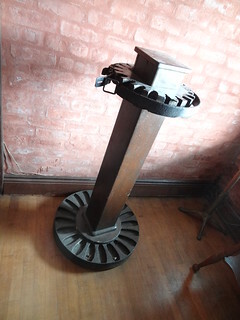 To the left is a small city-scape rising from the floor, the space is huge, 8,ooo sq ft, there’s another 8,000 sq ft on the basement level too, along with the original safe from the bank that originally occupied the space in 1928 and a small banquet room. We are greeted at the door and told we can sit wherever we want, that’s a tough decision in a place this cool. We settle on a table central to everything and begin checking out the menu, the selections all sound incredible. 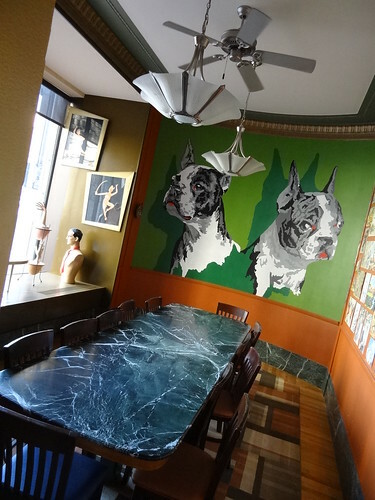 After we place our order we are free to roam around; the pieces they have amassed through the years are awesome; statues of jungle animals, beer displays, original funky artwork, advertisements for household items, food and auto-related products. 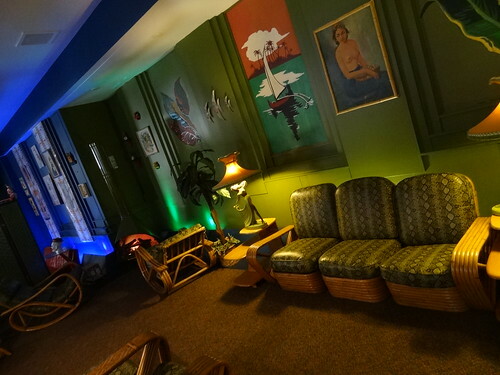 There’s a fabulous lounge area in the back that puts me in the mind of the 50’s era Cuban style; rattan furniture, exotic lamps, tropical flowers–it’s fantastic! 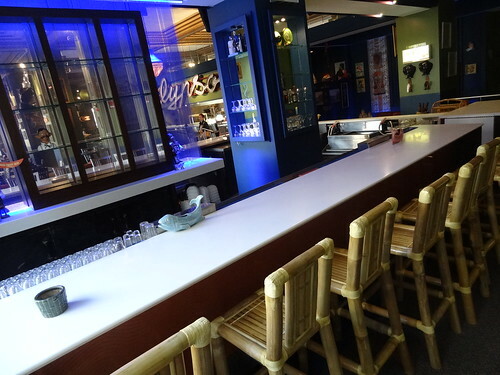 The tiki bar itself is just waiting for the liquor license to arrive to get into full swing, it will be a great place to come and have a cocktail. The original integrity of the building remains, columns have been boxed in, walls and surfaces are painted in bright green and blue, everywhere you look, there’s something to look at. Our food arrives, we dig in with enthusiasm, we are splitting the Passion Fruit Pound Cake French Toast (I kid you not!) 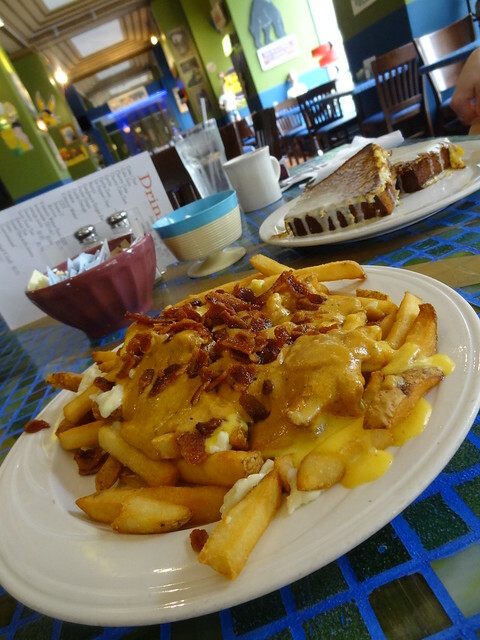 and the Poutine Deluxe, my mouth is watering as I write this….The french toast is utterly delicious, served with a buttermilk cream sauce it is just the right amount of sweetness. On the other hand the poutine is a savory mix of french fries, scrambled eggs, cotija cheese, hollandaise sauce, 4-pepper gravy and crumbled bacon, alright, so it’s not low in fat, for something this good I’m willing to put in a little extra work-out time. As we savor our brunch I continue to notice things, like the planters playing host to doll heads, the giant Calypso sign above the kitchen, the Lone Ranger and fun window displays featuring great items from the 40’s and 50’s. The food is a fusion of Southern and Mexican style, with so many interesting things on the menu to try, we’ll definitely be back. 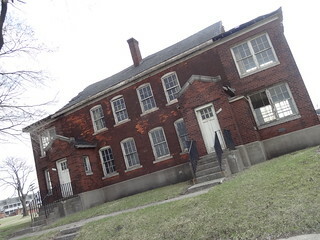 So there you have it, from one of Detroit’s oldest places to one of its newest, its been another great day in the city ! !